Who really conquered the Inca Empire? I found myself mulling over that question for the first time today, after reading a really fascinating new paper published online in the American Journal of Physical Anthropology by a team of American and Peruvian scientists. Led by Melissa Murphy, a physical anthropologist at the University of Wyoming in Laramie, the team has just pored over the skeletal remains of 258 Inca men and women, who perished from extreme violence sometime between 1470 and 1540. First, let me very briefly summarize the conventional view of the Conquest of Peru. 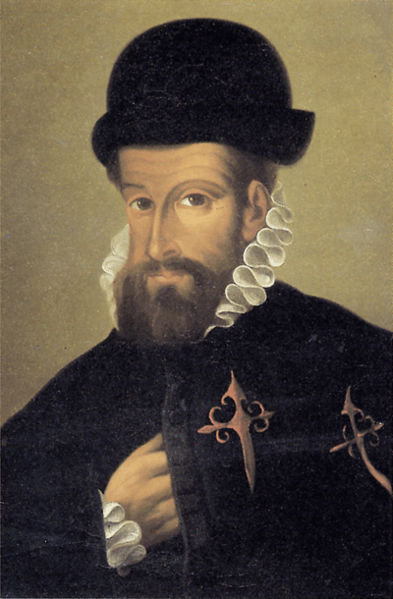 According to the Spanish chronicles (the only surviving written source of the invasion), Francisco Pizarro set sail from Panama in January 1531 with 3 ships and 180 men. Landing near the port of Tumbes in the midst of a civil war in the Inca realm known as Tawantinsuyu, Pizarro and his men journeyed inland. At the Inca provincial town of Cajamarca, they laid an ambush and captured the Inca king Atawallpa, whom they subsequently executed. In November 1533, Pizarro’s force occupied the Inca capital of Cuzco, bringing the empire to its knees. I personally don’t recall hearing or reading much about indigenous Andean peoples fighting on the side of the Spanish invaders. But as the new paper by Murphy and her team points out, aboriginal people certainly seem to have played a part in the Conquest of Peru, and perhaps quite a large part. Now of course, Spanish soldiers might well have picked up native weapons and used them expediently. But some Spanish chroniclers do refer on occasion to indigenous allies and I wouldn’t be at all surprised to learn that they were under-representing the numbers in order to make themselves look especially courageous to readers back home. Moreover, we know that the Incas had made a host of enemies during their own conquests, particularly on the northern coast of Peru. And these dissidents might have seen Pizarro and his men initially as liberators, before they truly understood the rapacity of the Spanish forces. Certainly, this is what happened in Mexico, when aboriginal people rallied to the banner of Hernando Cortez, eager to rise up against their oppressors, the Aztecs. This new research by Murphy and her colleagues is the first forensic-style study of the Inca victims who fell during the Conquest of Peru. I really look forward to reading more. Hi Heather, just read your article, parden my ignorance, but I thought the Incas were the indigenous people , where did they originate from? Good to hear from you! Yes, the Incas were indeed indigenous people. Their homeland lay in the Cuzco Valley in what’s now Peru. But Inca armies conquered and otherwise subjugated a very wide range of other indigenous chiefdoms from southern Colombia to northern Argentina and Chile. These other ethnic groups spoke different languages, worshiped different gods, had different customs and traditions, possessed their own leadership, etc. And some did not take at all kindly to their new Inca lords, who imposed new taxes, etc. So the Incas made a lot of enemies. When the Spanish arrived, some of these dissidents fought on the Spanish side — a case of my enemy’s enemy is my friend. But when the dust settled, and the Inca empire collapsed, the new Spanish rulers proved to be far harsher and crueler than the Incas ever were. ← Women, The Earliest Brewmasters?